Ocean Heights Leisure Park0800 955 1122work Holiday ParkOcean Heights is set in fourteen acres of beautiful landscaped grounds on a plateau overlooking the breathtaking Ceredigion coast and countryside. Minutes from New Quay town, with its winding streets, quaint restaurants and water sports, you’ll have access to rugged coastline and golden beaches, shopping and, in the summer, the opportunity to spot dolphins from Cardigan Bay pier. 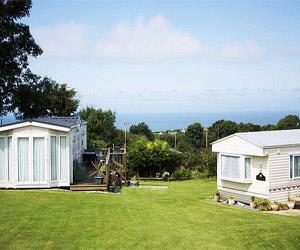 Ideally situated for beaches and mountains, close to fishing village of New Quay. Ocean Heights is set in fourteen acres of beautiful landscaped grounds on a plateau overlooking the breathtaking Ceredigion coast and countryside. Minutes from New Quay town, with its winding streets, quaint restaurants and water sports, you’ll have access to rugged coastline and golden beaches, shopping and, in the summer, the opportunity to spot dolphins from Cardigan Bay pier. Also in the vicinity are several golf courses and various lake, river and sea fishing spots. Amusement Arcade, Play Area & Sports Field Country Club - Providing Meals & Weekend Entertainment Indoor Heated Swimming Pool & Whirlpool Outdoor Heated Swimming Pool (open Summer Holidays) Small Shop Providing Everyday Groceries Wireless Internet Children welcome from any age.